LOS ANGELES (AP) Yuli Gurriel batted to a soundtrack of loud and steady boos in Game 7 of the World Series. Dodgers fans voiced their displeasure when the first baseman was announced sixth in the Astros’ lineup before the deciding game Wednesday night. Gurriel tipped his helmet in Yu Darvish’s direction before stepping into the batter’s box to face the Japan-born pitcher. Gurriel flied out to right in a 13-pitch at-bat to end the first inning, with Houston leading 2-0. Hill described it as his ”silent gesture” to condemn Gurriel’s racist gesture toward Darvish after homering off the hurler last Friday. ”This is a very close group, and for him to acknowledge that moment on behalf of Yu, I’m sure that Yu appreciated that,” Los Angeles manager Dave Roberts said before Game 7. After getting an earful from the crowd, Gurriel went 1 for 4 in the Astros’ 3-1 loss in Game 6 on Tuesday. 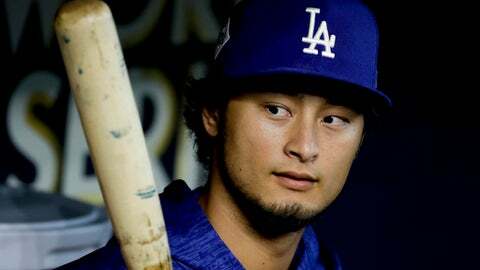 Darvish said Tuesday that he didn’t think it was necessary to meet with Gurriel, who contacted the Dodgers and offered to meet with the pitcher in person and apologize.